NCVPS has a number of resources to assist students with their NCVPS courses. Each resource has specific areas it can help with. Check out all the resources below. The Support Center can’t help with course content questions, such as homework help. 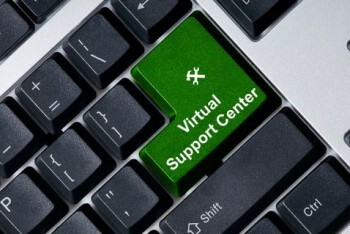 Open a ticket with our Virtual Support Center at this link. Your eLearning Advisor is the person who registered you at your local public school. If you need further information on who this person is, contact your school and they will direct you to the appropriate person. If you need to contact the instructor of your course, please check the course for a staff or faculty button on the menu for their email and phone number. If you continue to have difficulty contacting your instructor, please see your eLearning Advisor (ELA) on your school campus. NCVPS German courses are taught by Oklahoma State University (OSU). You can still use the NCVPS Virtual Support Center to help with any issues within your German course. Questions can also be directed to the Oklahoma State University (OSU) Help Desk at german.online@okstate.edu OR 1-800-423-6493. If you have forgotten your password, use the “Forgot Password” feature on the login page. This will work if you have your correct email address identified in the course settings. The NCVPS Peer Tutoring Center helps students with all the features of online learning in NCVPS courses. Whether you need content specific help with a particular concept in your course or you need a little extra motivation and help with time management, the PTC has you covered. Learn more about the NCVPS Peer Tutoring Center.